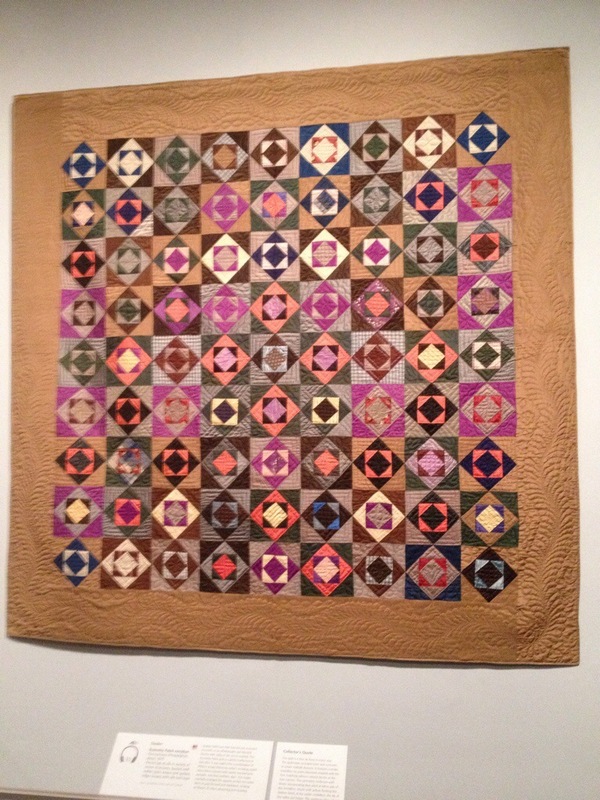 Some more wonderful quilts from…. the Museum of Fine Arts in Boston. 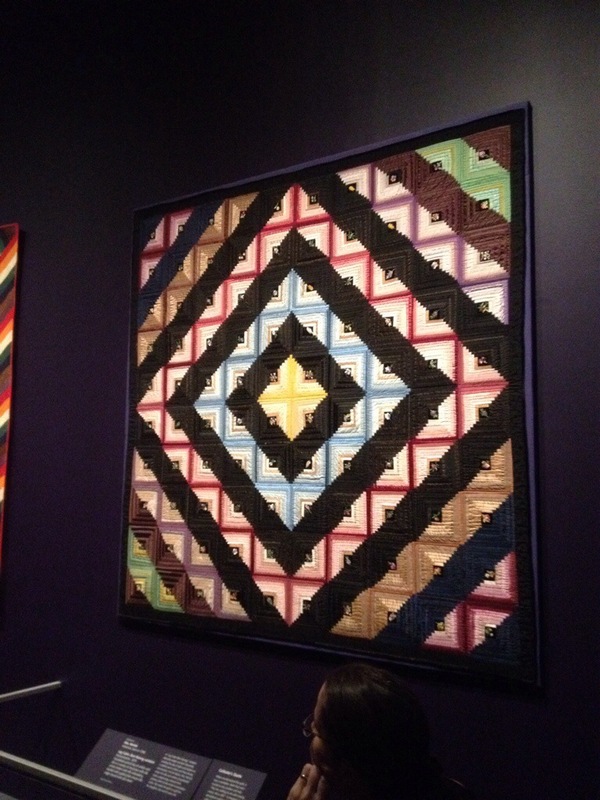 These quilts were awe inspiring!!! There were so many techniques used, some quilts were made from scraps and others were definitely pieced with a plan. This quilt is made of silk! 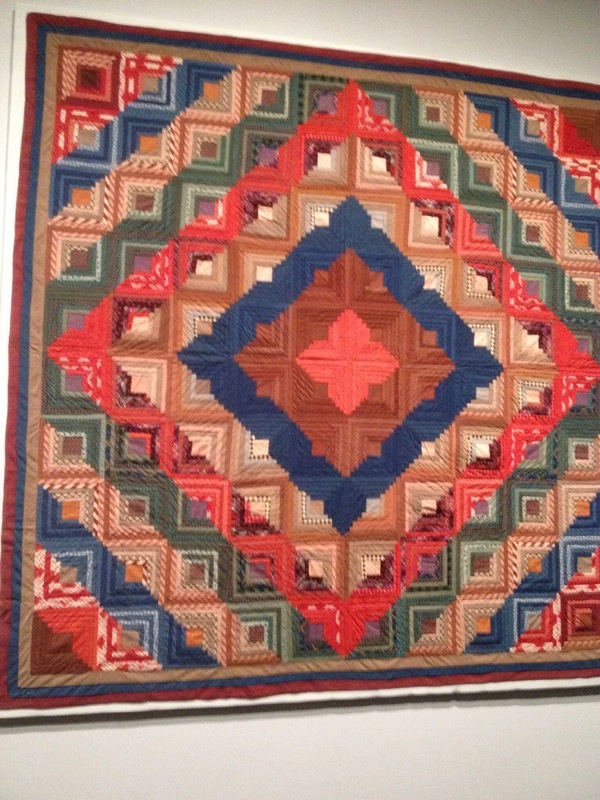 Another variation of a Log Cabin Quilt – uses the traditional red center square to represent the hearth. I truly enjoyed this exhibit and can’t even imagine making some of these quilts – some of the pieces were so tiny and the thought of them being pieced and quilted by hand is remarkable. 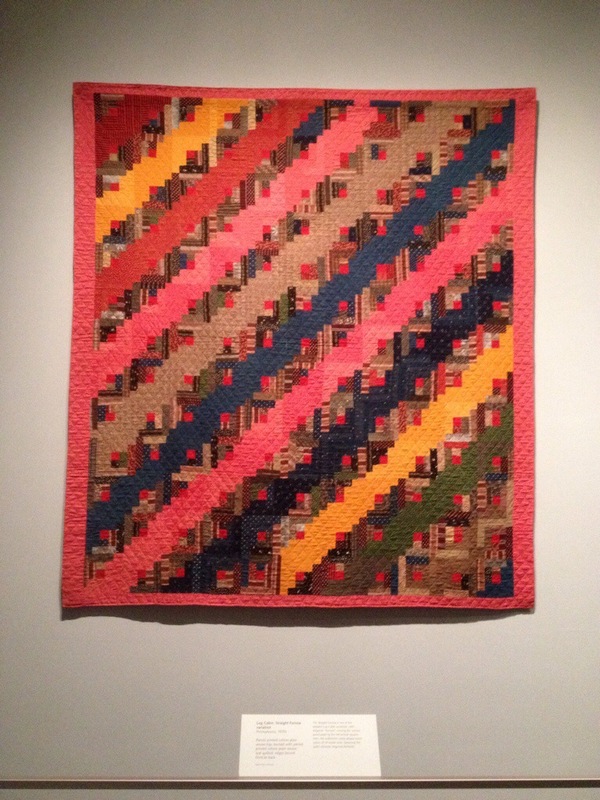 Some of these quilts were made to impress – others were made to keep warm. No matter the end use they are all a form of expression and creativity that women used to brighten their days, and keep their loved one warm. 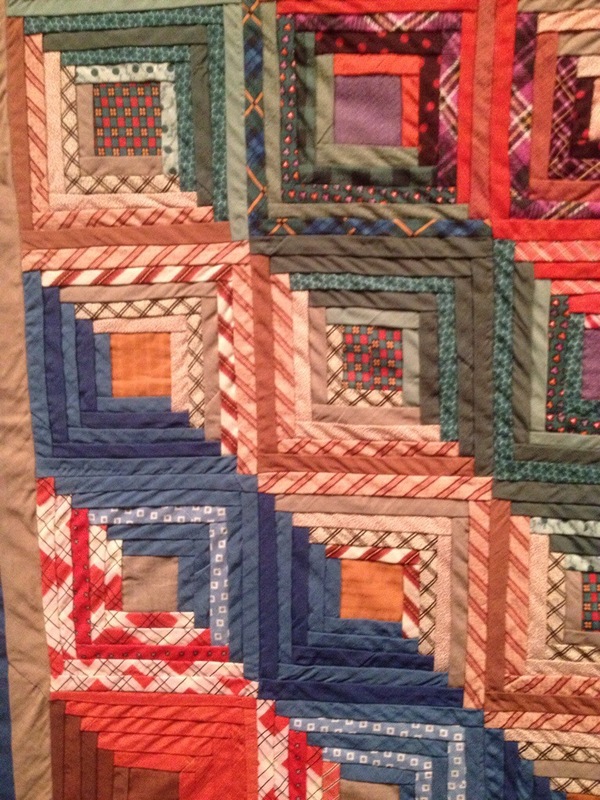 I am sure that some women made quilts out of necessity and others did it to show their sewing skills. I make quilts because I have a wonderful sense of accomplishment when they are complete. Quilting for me is a form of creative expression that has the wonderful end result of a tangible item that will hopefully outlive me. My quilts show a bit of my personality – the colors I choose are an extension of who I am. I tend to work with bright, happy colors or warm, cozy colors depending upon the end user of the quilt. Every quilt that we make has a little bit of us in it. 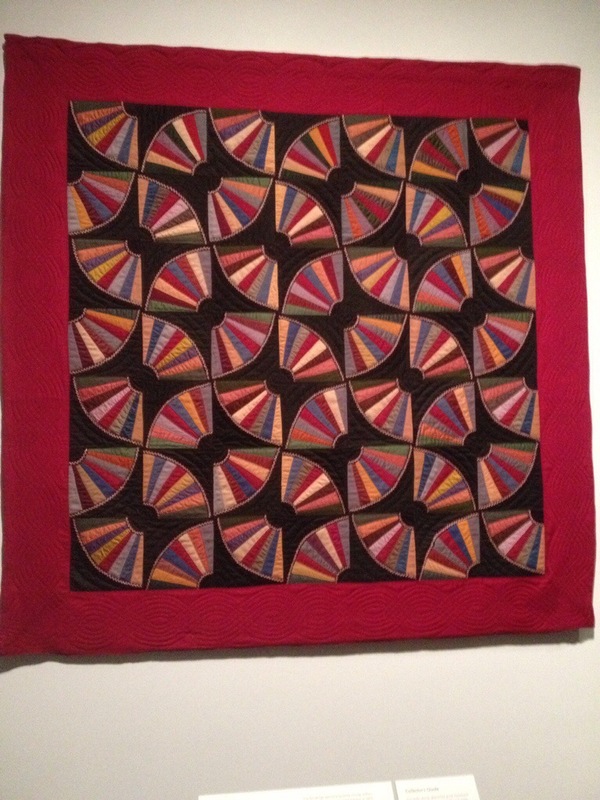 The weekend in Boston was about family and for me that is what my quilting is about, sharing a part of me in my quilts.